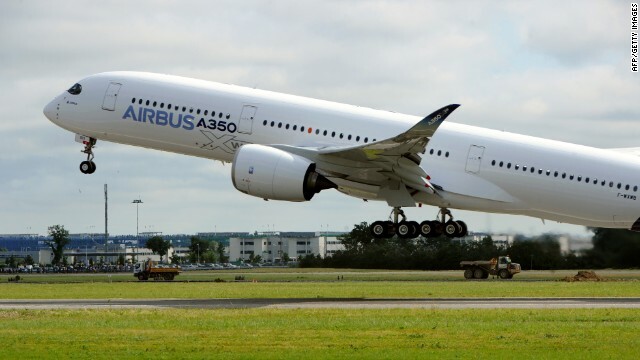 Airbus has successfully performed the ‘Maximum Energy Rejected Take-Off’ (MERTO) test with the A350 MSN001 on the morning of Saturday 19th July at Istres Air Force Base in France. MERTO, which follows on from the previous ‘High Energy Rejected Take-Off’ (HERTO) preparation test conducted by MSN001 two months ago, is a part of the mandatory series of tests for Certification. This latest test is to confirm the braking system’s ability to safely stop the aircraft following a rejected take-off at high speed and high weight – using a set of worn-out brakes. As these brakes absorb the kinetic energy of the aircraft, they glow bright orange and reach a temperature of around 1,400 degrees centigrade by the time the aircraft has safely come to a standstill, whereupon the tires are deflated by special fuses. According to certification requirements, the aircraft then has to stay put for five minutes unassisted, after which firefighters are allowed to spray the wheels and brakes to cool them. 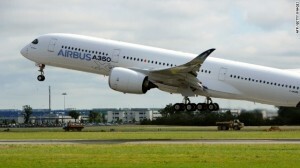 The Airbus Test team received full support from the “DGA (Délégation Générale pour l’Armement) – Essais en vols”, which played a key role in facilitating the test. MERTO is the A350 XWB programme’s final major test before MSN005, one of two cabin-equipped development aircraft, embarks on ‘Route Proving’ in July. The programme has to date achieved more than 2,250 flight hours in around 540 flights, and is on track for certification in Q3 and first delivery to Qatar Airways in Q4.